We let the ERP keep doing this. An ERP system helps your organization in streamlining operations, planning, administrations and different management functionalities by optimizing internal business processes. 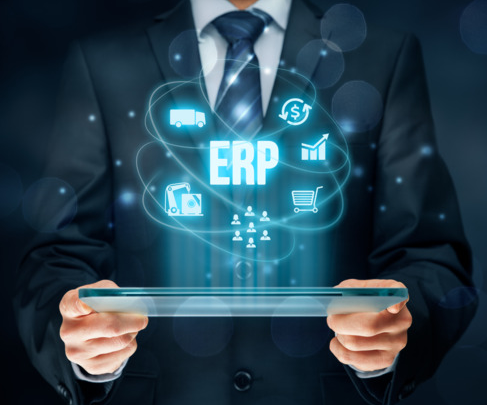 An ERP solution makes you integrate the data and processes of an organization into a single unified system thus enabling centralized and accessible data, improvement in workflows across various departments, better cost control and operational efficiency. We at Integrative Systems with a dedicated team of ERP developers having more than a decade of experience and expertise offers best ERP solutions for assimilation and automation of your business needs. We help organizations in streamlining their processes and improve profit margins along with allowing the business to keep pace with changing technologies. Starting from analysis of your business process to understanding requirements and providing ideal business solution, we at Integrative System makes sure that every minute detail of your requirement is covered and the solution fits with your business process. Besides, we also provide implementation strategy consultation along with post implementation training and documentation. Modernization of legacy ERP systems to web based applications has been forte of Integrative Systems. Designing new GUI to providing pleasant user experience without compromising with data security and integrity has been our trademark. Every business has its own unique set of requirements and at Integrative Systems, we precisely strive to provide clients with customized modules, customized user interfaces based on their requirements having seamless flow of information across various business entities. With the growth in business comes a large number of tricky processes and a huge amount of data. Integrative systems help you in integrating these processes and data in order to streamline your processes and maintaining the flexibility of system for any technological upgrades. Migrating the business process and data to a different platform has always been a challenging task for any business. Integrative Systems relishes these challenges and helps you in migrating the process and data in a phased manner. We make sure that all functionality, checks and security are in place.